Nothing wrecks a beautiful night sky like that hideous, pockmarked skylight. What would it take to destroy our moon, and eliminate the enemy of stellar astronomy for all time? Top image: Using imagery collected by its Lunar Reconnaissance Orbiter, NASA created this video of the Moon rotating 360° about its axis. Click on the photo above to go to Universe Today’s Patreon page to watch the video! In the immortal words of Mr. Burns, “ever since the beginning of time, man has wished to destroy the Sun.” Your days are numbered, Sun. But supervillains, being the practical folks they are, know that a more worthy goal would be to destroy the Moon, or at least deface it horribly. Nothing wrecks a beautiful night sky like that hideous pockmarked spotlight. What would it take to destroy it and eliminate the enemy of stellar astronomy for all time? Crack out your Acme brand blueprint paper and white pencils, it’s Wile E. Coyote time. The energy it takes to dismantle a gravitationally held object is known as its binding energy, we talked about it in a Death Star episode and inventive ways to overcome it. For example, the binding energy of the Earth is 2.2 x 10^32 joules. It’s a lot. 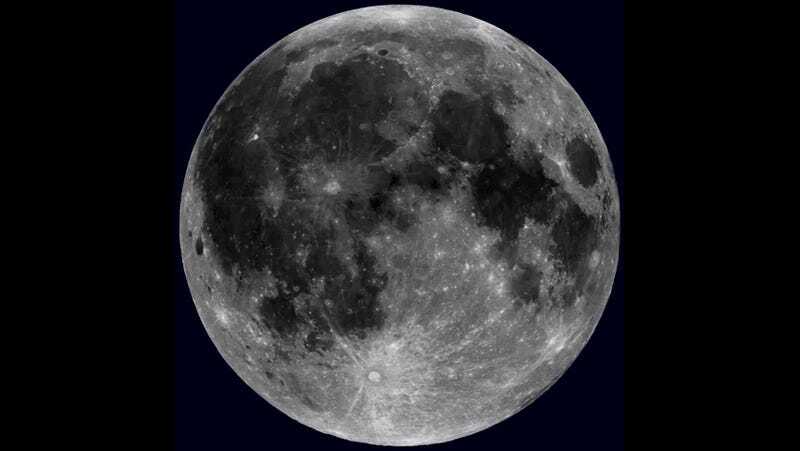 The binding energy of a smaller object, like our Moon is a tidy little 1.2 x 10^29 joules. It takes about 1800 times more energy to destroy the Earth than it takes to destroy the Moon. It’s 1800 times easier. That’s downright doable, isn’t it? That’s almost 2000 times easier. Which, on the scale of easy to less easy, is definitely closer to easy. Take the event that created the Caloris Basin on Mercury. It’s a crater, 1,500 km across. Astronomers think that a big fat asteroid, a fatsteroid(?) around 100 km in diameter crashed into Mercury billions of years ago. This event released 1.3 x 10^26 joules of energy, carving out this giant pit. It’s a thousandth of the binding energy of the Moon. We’ll need something more. Our Sun produces 3.8 x 10^26 joules of energy every second, the equivalent of about a billion hydrogen bombs. If you directed the full power of the Sun at the Moon for 15 minutes, it’d tear apart. That’s quite a superweapon you’ve got there, perhaps you’ll want to mount that on a space station and take it for a cruise through a galaxy far far away? If that scene took that long, we’d have fallen asleep. It’s as if millions of voices gradually became a little hoarse from crying out for a quarter of an hour. There’s another way you could tear the Moon apart that doesn’t require an astral gate accident: gravity. Astronomers use the Roche Limit to calculate how close an object – like a moon – can orbit another object – like a planet. This is the point where the difference between the tidal forces on the “front” and “backside” are large enough that the object is torn apart, and if this sounds familiar you might want to look up “spaghettification”. This is all based on the radius of the planet and the density of the planet and moon. If the Moon got close enough to the Earth, around 18,000 km, it would pull apart and be shredded into a beautiful ring. And then the objects in the ring would enter the Earth’s atmosphere and rain down beautiful destruction for thousands of years. Fortunately or unfortunately, depending your position in this “Die Moon, Die” discussion, the Moon is drifting away from the Earth. It’ll never be closer than it is right now, at almost 400,000 km, without a little nudge. Phobos, the largest moon orbiting Mars is slowly approaching the planet, and astronomers think it’ll reach the Roche Limit in the next few million years. It turns out that if we really want to destroy the Moon, we’ll need to destroy all life on Earth as well. Now we know your new supervillain project, what’s your supervillain name? Tell us your handle in the comments below. This article originally appeared at Universe Today is and republished here with permission.